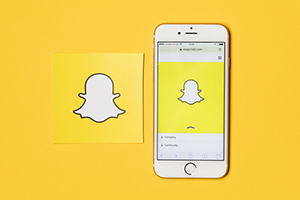 What Is the Snapchat IPO Price? Subject: What Is the Snapchat IPO Price? The Snapchat IPO price could be between $14 and $16 per share. Snap Inc., the parent company of Snapchat, released a regulatory filing today (Feb. 16) that valued the company between $19.5 billion and $22.2 billion. Snapchat also said it will sell 200 million Class A common stock shares. The shares will trade on the New York Stock Exchange (NYSE) under the symbol SNAP. The underwriters of the Snapchat IPO have the option to purchase an additional 30 million shares. According to CNBC, Snapchat expects its net proceeds from the IPO to be between $2.1 billion and $2.3 billion if the underwriters purchase Class A shares. That is on the basis that the SNAP stock price trades for $15 per share. If SNAP stock trades for $16 per share, Snapchat expects net proceeds will be $3.6 billion. According to the SEC filing, Snapchat will use its IPO money for working capital, capital expenditures, and operating expenses. Snapchat may also use the money to acquire complementary products, services, technologies, or businesses. However, the tech company said it was not contemplating any acquisitions at this time. This Snapchat stock news means SNAP could trade as early as March, which is why investors have been asking us if Snapchat stock is a good investment. Definitely need to invest in this stock. Thank you for the information and the guide!! Any information on a prospective IPO company called Blue Jeli Development Inc? How do you value a site like Snap Chat. Just a glorified Facebook that sells advertising space and crap to consumers. It never ceases to amaze me how the companies that produce NOTHING get IPOed at these ridiculous prices because people who have nothing better to do with their time any more go there. I would not invest one cent in this pariah even if I did stand a chance to make money. You IPO these guys and then they start buying up companies that actually produce something making them behemoths when in truth they should never have been called a company in the first place. However can't teach stupid can you?